Under eye treatment options - Skin Doctors Instant Eye Lift?? Has anyone tried an under eye treatment product called Skin Doctors Instant Eye Lift. Does anyone have any experience with this? Just wondering if works? Could not find any reviews on it. Also, wondering what you all think of Peter Thomas Roth Firmx eye lift? Some people like it but I could never get it to work. It always leaves a thick white flaky film under the eyes. If anyone has good results with it I would love to hear how you use it. Editor's Note: Thanks for your question Jessica. I've tried a ton of under eye treatment products, but I have never heard of Skin Doctors Instant Eye Lift. Where did you see it advertised? If I find it, I'll give it a try and let you all know how it worked for me. I'm always willing to try new eye lift serums! In reference to Peter Thomas Roth FIRMx Eye Lift Serum, yes I have tried it and still have half a tube left. It is much thicker and tightens much harder than my current favorite eye serum. Yes, it does work, but maybe it works too well? It pulls my skin up and in so tight that I look a bit weird. Especially when I smile, I can see my skin puckering. Also - just like what you experienced - after a few hours the whole eye area turns white and then starts to flake. But here is a tip that might help - try mixing it with a drop of water on your finger tip - sometimes helps it to go on softer and smoother. The Easy Eye Solution Instant Eye Tuck Serum that I use is much softer and more fluid than all the others. That's why I like it. If you scroll down the page to the link above you'll see pictures of some of the most popular eye lifting serums I've tried. The last one is a picture of EES serum and you'll see how fluid it is. It almost looks like a drop of water. Now, another concern of mine is what are all these glue like serums going to do to the delicate skin under my eyes? 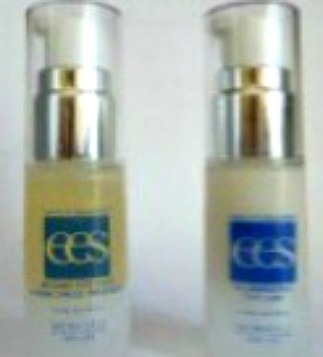 The owner and formulator of EES tells me that his product is pH balanced and can help maintain the integrity of the skin. I'm not sure of the other products but some seem to be very harsh. Don't know if they can damage the skin in the long term. I've been using this product (everyday) since April 2012 and my under eye skin looks pretty good. Initially, I didn't start out selling this product. I became an avid customer first and then decided to become a wholesaler because I thought others would like it as much as I do. I've tried so many different under eye treatment products that it didn't take long for me to tell the difference between a bad one and a good one. Anyway, I'll give Skin Doctors Instant Eye Lift product a try and will post my results back here to this page.